These units are present in all Ariadnan regional armies, composed of sappers and experts in demolition, maintenance, and recovery of combat materiel. 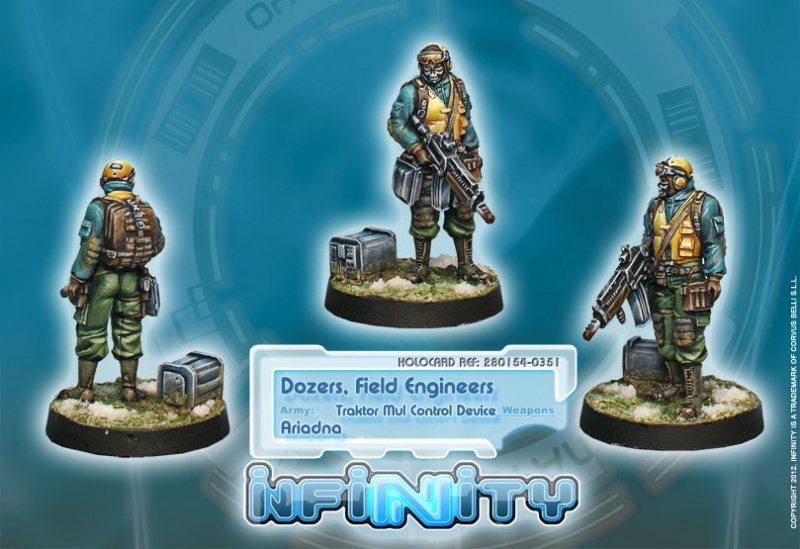 The Dozers are the scrap dealers and door-breakers of Ariadna, and they received their name for operating the versatile Traktor Mul engineering and artillery support vehicles. 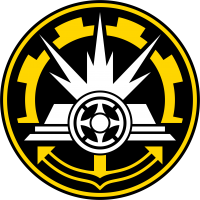 Originally, the corps was created to clear paths through dense Ariadnan forests and to build permanent or pontoon bridges over the many rivers and deep ravines in the planet’s most savage zones. However, they are also responsible for maintaining machinery and are experts in Teseum processing. Dozers can repair weapons, equipment and armor, be they simple or the most complex Cossack Cherkésskas. Due to the lack of high technology in Ariadna, they have developed a clinical eye for recognizing pieces of useful material amidst the spoils of battle. Ariadnan troops have standing orders to minimize damage caused to enemy materiel, so that the Dozers can make use of parts and technology suitable for Ariadnan systems. This is why their backpacks are true treasure troves of surprises. They have become the worst nightmare of the Logistics corps, always insistently asking for material to patch one thing or another, or “borrowing” something for an “urgent” task. They are also specialists in cracking security systems. Dozers are demolitions experts, with an instinctive grasp of the quantity of explosives needed for any kind of electronic lock. This is why it’s usual for them to be required in the front line as support for assaults on highly fortified positions.